From top to bottom: Our pink velvet is the softest and yummiest of colours. Our Liberty of London Betsy is every little girls dream bow. 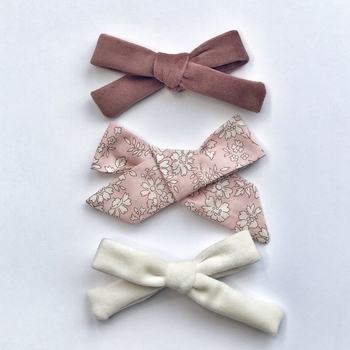 Our cream velvet will be your go to bow for every outfit.